I must have been a naughty boy this year because santa didn’t come to me. No matter, I’ve got some an awesome partner, friends, and family who have a pretty good idea of the kind of stuff I dig. I thought some of you might appreciate a couple of the things I got. 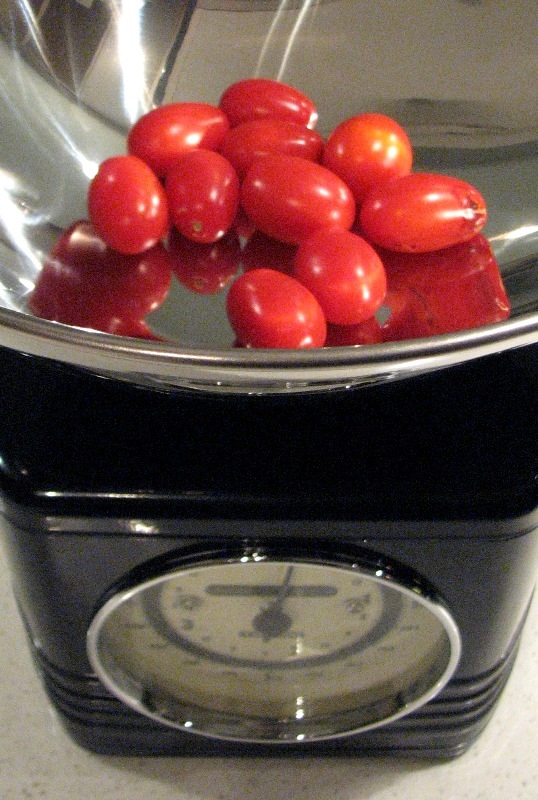 These vintage styled retro scales are from Typhoon and they look great. 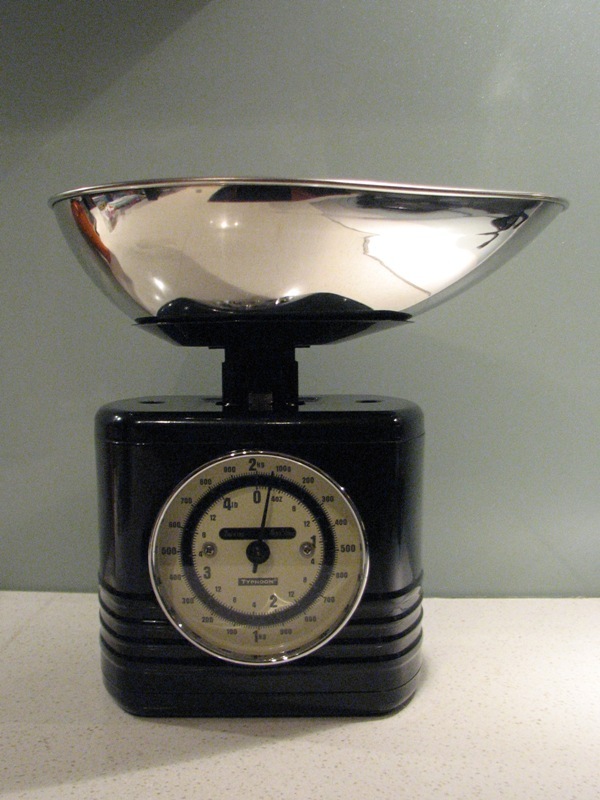 Not only does the dial have an awesome style, but it’s also in grams/kilos as well as ounces/pounds. It’s also got a steel body, so it’s got a nice feel to it as well. I chucked some home grown tomatoes in it and grabbed some pics. And this is my shiny Juicy Salif from Alessi (okay to be fair to my partner, it’s really ours). 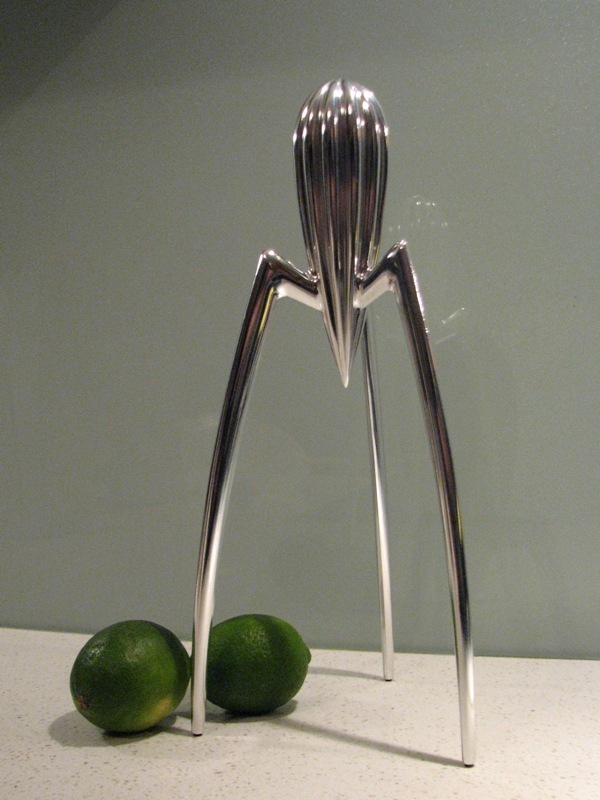 I’ve posted about the Salif before, it’s basically one of the most awesome pieces of atomic barware known to man. 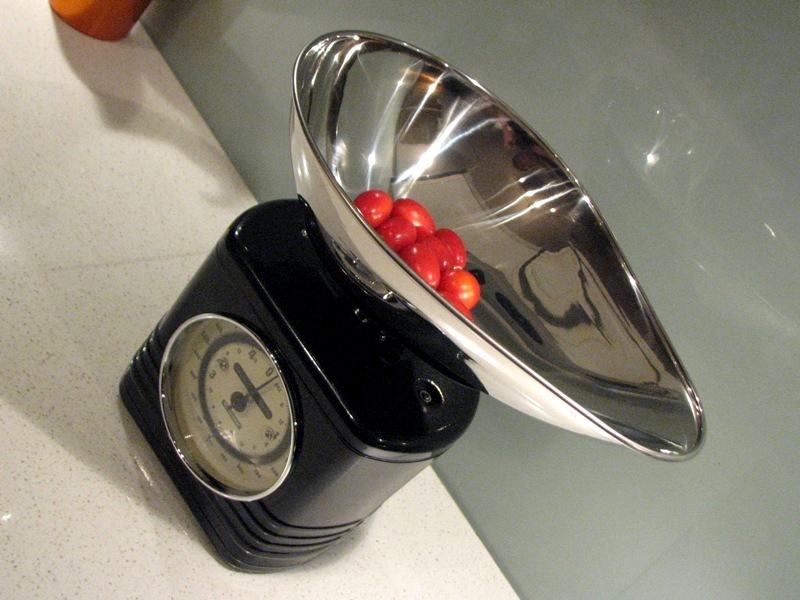 Just place your vessel under the base of the rocket and squeeze away for fresh juice. Very cool. love that jucer man, heres a fridge you might be interested in. Thanks Leigh. Yeh I love the Smegs, just can’t justify the price and they’re not real big either. But so damn cool!